Renault 4 Club Serbia meeting in Belgradevisit us on www.renault4serbia.com. 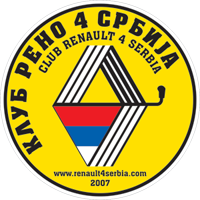 ..
Renault 4 Serbia Fan Club!First meeting on April the 1st. 2007.visit us on www.renault4serbia.com. ..